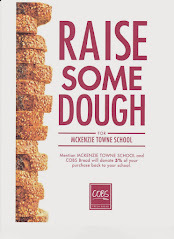 The next meetings of the McKenzie Towne School Council and Parent Association are tomorrow (Monday) night. We will begin with an informal meet and greet at 6:15 pm and the official MTSC meeting starting at 6:30 pm. Constable Pete Barker is joining us to speak at our council meeting, and we will also be spending some time on our topic of the month, 'Bullying'. As always, there will be school information from Mrs. Sarginson, the teachers' report, this month from Mrs. Purdy and Mrs. Howden as well as news and information from other executive members. Please download and print the agendas for the MTSC and MTSPA meetings. We look forward to seeing you tomorrow night!